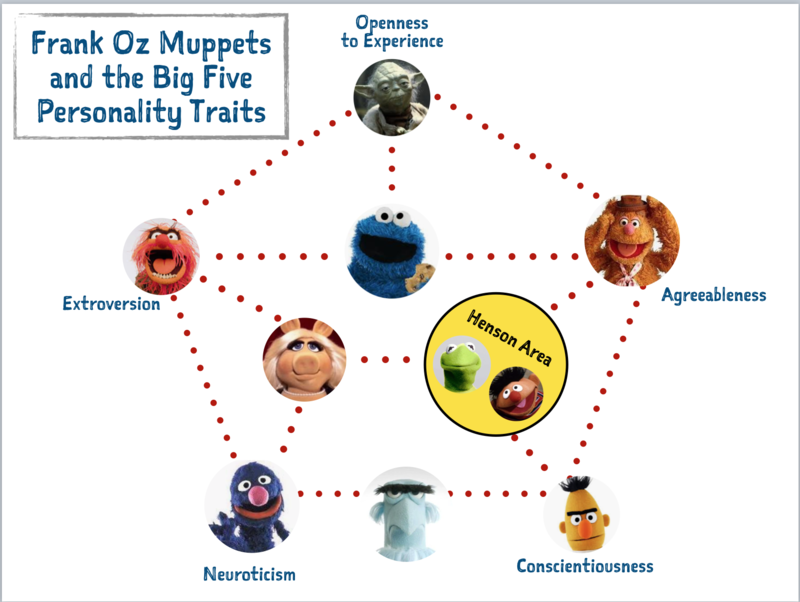 In case you are searching for a unified account of Frank Oz Muppets in terms of the Big Five Personality Traits—and, to be clear, someone on the internet was earlier today—I’m providing it here for posterity. This version includes the “Henson Area”, which is optional but both clarifying for the strictly psychological aspects and a bridge to a fully social theory of Frank Oz Muppets. A unified account of Frank Oz Muppets in terms of the Big Five Personality Traits, and vice versa.